On our path as Montessori teachers we communicate with many people. Some of our work is mentoring – mentoring parents or colleagues. Yet, we are always advocates for young children’s development. We will re-discover our capacity in the role with the child and the family discussing how we guide, collaborate and support each one. We will look at Parent Education, explore parent events and work through how to implement a calendar of ongoing outreach in under 3 communities. As a Montessori teacher you will learn to hone the skills of adviser, supporter, counselor, guide and more on a day to day basis! Therefore during this workshop we will explore the varied elements of mentoring and what that could look like in the under 3 environment to support newly trained teachers and assistants coming into Montessori afresh. Time will be spent on the strategies and support we can give them. You will leave this workshop with many new ideas and strategies to take back to your environments. 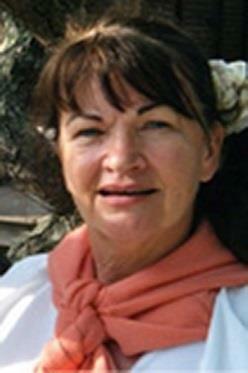 Pam Staton has been involved in Montessori education since 1979. She is the mother of 3 Montessori children and 5 Montessori grandchildren. Pam has 28 years of Montessori teaching experience with 27 years at Inner Sydney Montessori School and established the under 3 program for the school in 2004. She is trained in both 0-3 and 3-6 years. Through the years Pam has been an enthusiastic advocate for evening parent education, home visits, parenting sessions and family support in all the stages of very young families. She has supported and mentored numerous teachers in their careers in Australia, Thailand and internationally also contributing to the wider Montessori community in Australia on a state and national level as a board member of several key Montessori organisations. Address: 217 Riddell Road, Glendowie, Auckland. Registration includes morning and afternoon teas and lunch each day. We require the names and email address of each attendee. Please check your spelling and use of capitals appropriately. Also select your Registration type. Please tell us if you have any special requirements or if there is anything else you would like us to know.